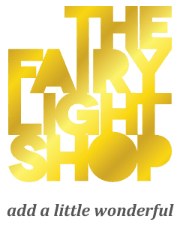 All of The Fairy Light Shop lights have Australian and New Zealand (AS/NZS) safety ratings. Many of our lights come with either low 12V or 24V voltage transformers. Our LED lights have plastic bulbs and do not heat up which makes them suitable for any room and safe around children. LED lights also draw a lot less power than traditional incandescent bulbs. Please follow all instructions included in the packaging.